Kenya militant attack over, all "terrorists" killed: Kenyatta - SABC News - Breaking news, special reports, world, business, sport coverage of all South African current events. Africa's news leader. 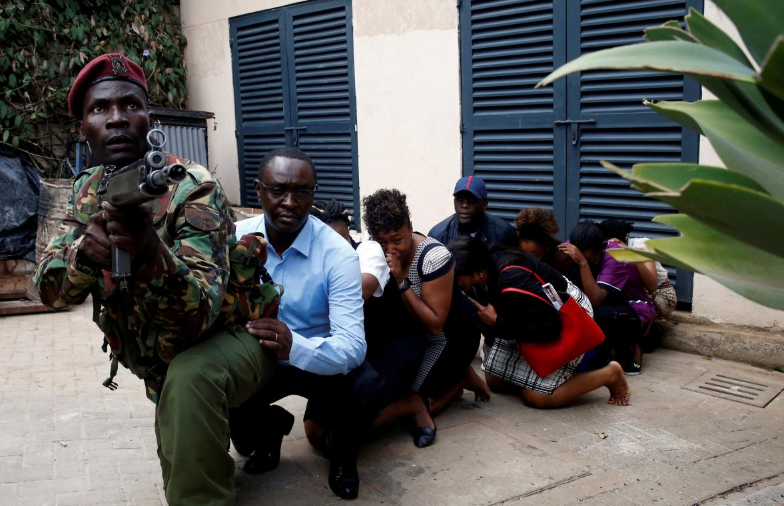 Kenyan police chief Joseph Boinnet said the attack began around 3 pm on Tuesday with an explosion targeting cars outside a bank followed by a detonation from a suicide bomber in the hotel lobby. As he spoke, a Reuters reporter on the scene reported heavy gunfire, then an explosion shortly afterwards. Many told Reuters they had to leave colleagues behind, still huddled under their desks. This entry was posted on 16 Jan 2019,09:57AM at 9:57 AM and is filed under Africa, Homepage Latest Stories Slider. You can follow any responses to this entry through the RSS 2.0 feed. Both comments and pings are currently closed.